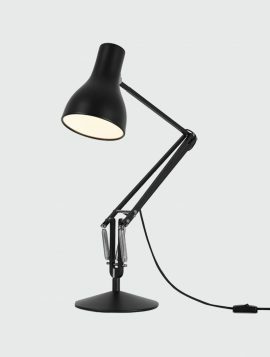 In 1932, when vehicle suspension engineer George Carwardine invented a spring, crank and lever mechanism that could be positioned with the lightest of touch yet would maintain its position once released, a blueprint for the first Anglepoise task lamp was born. 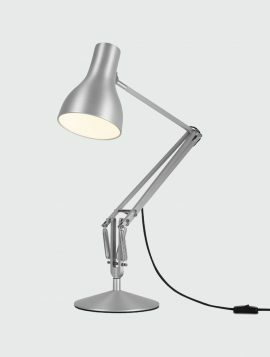 The Anglepoise lamp has subsequently achieved iconic status and its engaging, anthropomorphic form is recognised and admired all around the world. 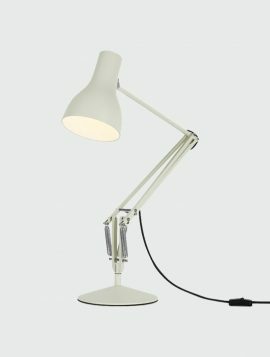 Over the years, the Anglepoise lamp has been developed under the careful watch of the founding Terry family, without ever losing sight of its primary function, and unique, characterful form.